If you’ve been around here for awhile, you’ve probably noticed that I don’t usually shoot photographs in color. It’s not that I don’t like color, because I do. Really, truly — I can’t get enough of color, especially this time of year, when the whole world looks like an antique tintype and going to the art museum is like a type of therapy. But I don’t take photographs in color, at least not often and not well. I guess that’s because my soul is so hue-sensitive that a lot of color just short-circuits my brain, and I stop noticing all the little things that are most important to me in a photograph: the way the leading lines drift along seductive diagonals. The way the light knifes down the side of a woman’s shoulder, or collects in a little pool at the hollow of her throat. The way a shadow can have more substance than the thing that’s casting it. All of these things are why I love shooting in monochrome. Last week my eyes and my heart needed color. 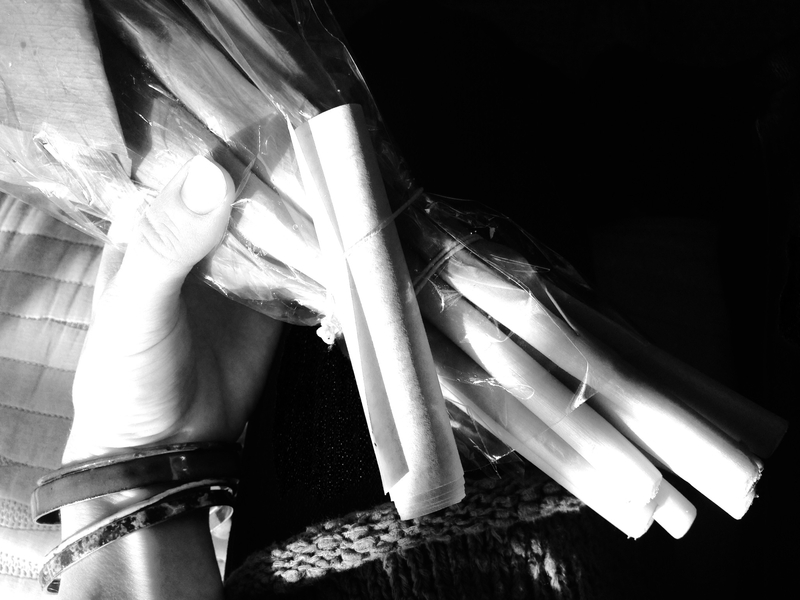 And I say “needed” knowing exactly what that word actually means. So I went to the store and I bought a bunch of pink tulips. I’m not talking about blush-pink, or ballet-white, or Victorian Rose — all pretty colors but frankly just kind-of a tease, for me, in that moment. 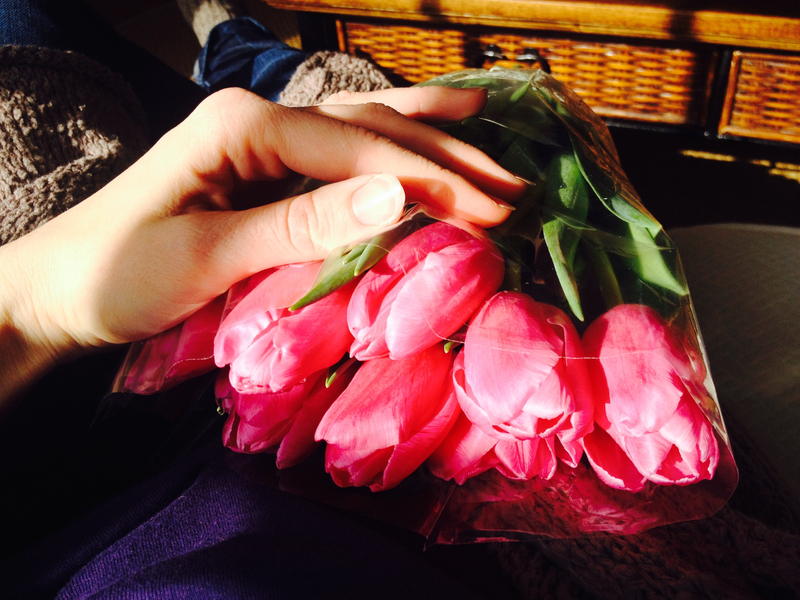 No– the tulips I bought were a shocking shade of lipstick-pink, almost fuchsia. Just looking at them made me happy. And a part of me wanted to take them home and put them on my kitchen windowsill, where I could look at them while I gazed into the tangle of black branches in my back yard. But then I decided that the flowers weren’t for me; they were for someone who needed color more than me. The flowers were my secret message. 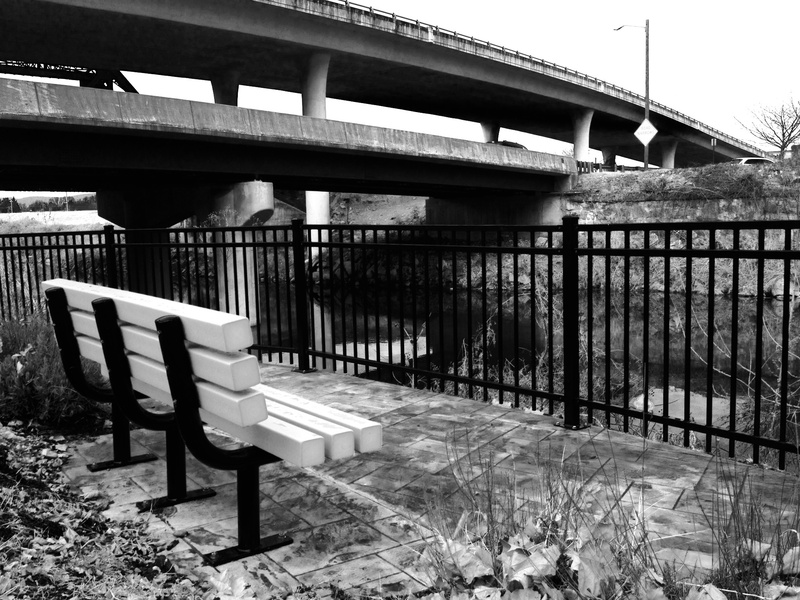 Just off the Roanoke River Greenway, where the path dips beneath a railroad trestle near Mill Mountain, there’s a little crescent-moon of a flower bed with a park bench and a porch swing called The Healing Garden. The name makes sense: it’s located right across the street from Roanoke Memorial Hospital, and I suppose the place was created to be a kind of quiet outdoor sanctuary for patients and family members to step away and get some sun. It’s a lovely place, full of fragrant herbs. Sometimes I like to stop there and run my hands through the rosemary so the scent lingers on my fingertips. You can sit on the bench and watch the brown ribbon of the river drift past, or wait for the roar of a train on the trestle. No crimson or violet or fire-coral in sight. So I took my little flowers down there on a particularly cold afternoon. I left the flowers and the message on the swing — the pink practically glowing against the black iron slats. I walked away and — I kid you not — I began to see color everywhere I looked.